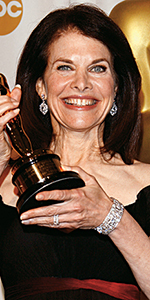 Sherry Lansing holding her Jean Hersholt Humanitarian Award, given to her at the 79th Academy Awards, held at the Kodak Theatre on Sunday, February, 25, 2007. Sherry Lansing is another film executive impressed at the Chinese Theatre, but with one difference: she ran two major studios! Lansing's mother "Margot" refugeed from Hitler's Germany in 1937 at the age of 17. 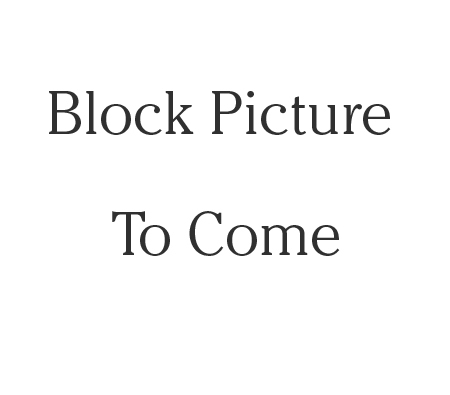 In Chicago, she met and married real estate investor David Duhl, with Sherry coming along in 1944. Her father David died when she was nine. Sherry attended the University of Chicago Laboratory Schools, graduating in 1962. Joining the Sigma Delta Tau sorority, she attended Northwestern University, earning her B.S. degree in 1966. After serving as a math theacher, she lit out for a career as an actor, getting herself a bit part in Funny Girl (released in September, 1968) with Barbra Streisand, and The April Fools (released in May, 1969) with Jack Lemmon. Now as Sherry Lansing, she got fair-sized roles. As Susan in Loving (released in March, 1970) with George Segal, and as Amalita, the hero in the last reels of Rio Lobo (released in December, 1970) with John Wayne. Lansing did a guest slot on Dan August, starring Burt Reynolds, aired over ABC in January, 1971, and appeared on Ironside starring Raymond Burr, aired over NBC in February, 1971. As a lark of sorts, Lansing did a second guesting for the television movie Dan August: The Trouble with Women, aired over ABC in 1980, but by this time, she had been appointed to the presidency of 20th Century Fox, becoming the first female to be running a major Hollywood studio. During her tenure as Fox head, the studio enjoyed the hits 9 to 5 (1980); The Cannonball Run (1981); Porky's (1981); The Man from Snowy River (1982); The Verdict (1982); Return of the Jedi (1983); All the Right Moves (1983); Silkwood (1983); Romancing the Stone (1984); Prizzi's Honor (1985); Cocoon (1985); The Fly (1986); The Name of the Rose (1986); Raising Arizona (1987); The Princess Bride (1987); Wall Street (1987); Brodcast News (1987); Big (1988); Die Hard (1988); Working Girl (1988); The Abyss (1989); Home Alone (1990); Edward Scissorhands (1990); Hot Shots! (1991): My Cousin Vinny (1992); White Men Can't Jump (1992); Buffy the Vampire Slayer (1992); and The Last of the Mohicans (1992). Lansing has been married to director William Friedkin since July, 1991. In the meantime, Lansing had partnered with Stanley R. Jaffe, with whom she produced, co-produced, or co-executive produced a number of successful films: Firstborn 1984 (released in October, 1984) with Teri Garr and Peter Weller; Fatal Attraction (which played the Chinese in September, 1987) with Michael Douglas and Glenn Close; Mistress, aired over CBS in October, 1987, with Victoria Principal; The Accused (which played the Chinese in October, 1988) with Kelly McGillis and Jodie Foster; Black Rain (which played the Chinese in September, 1989) with Michael Douglas; School Ties (released in September, 1992) with Brenden Fraiser; and Indecent Proposal (released in April, 1993) with Robert Redford. With Jaffe rising to the presidency of Paramount in 1992, he named Lansing to be chair of Paramount's Motion Picture Group. During that time, Paramount could claim the following hits: The Firm (1993); Forrest Gump (1994); Clear and Present Danger (1994); Star Trek Generations (1994); Nobody's Fool (1995); Braveheart (1995); Clueless (1995); Mission: Impossible (1996); The First Wives Club (1996); Face/Off (1997); Titanic (1997); The Truman Show (1998); Saving Private Ryan (1998); Runaway Bride (1999); Wonder Boys (2000); Mission: Impossible 2 (2000); Lara Croft: Tomb Raider (2001); The Hours (2002); The Italian Job (2002); School of Rock (2003); and Mean Girls (2004). With Viacom restructuring the Motion Picture Group in 2004, Lansing decided to step down from her post after 12 years. After leaving Paramount, Lansing started the Sherry Lansing Foundation, which is dedicated to raising funds for cancer research, and has been very involved with raising funds for both cancer patients and research. In 2007, she was awarded the Jean Hersholt Humanitarian Award by AMPAS. She has been among the producers of the Stand Up to Cancer specials, aired over ABC, NBC, CBS and Fox in 2010 and 2012. Grauman's Chinese Theatre, Hollywood, California. Sherry Lansing Forecourt ceremony, Sunday, February 26, 2005. Sherry Lansing gives everyone a smile after completing her inscriptions in the cement.